The Healthcare Laundry Accreditation Council (HLAC) is a third-party, nonprofit organization that inspects laundries that process linens and uniforms for hospitals, nursing homes and other medical facilities. In order to achieve an HLAC certification, laundries must pass a thorough inspection, verifying everything from physical design and ventilation to equipment maintenance, work flow, hazardous materials, pharmaceutical waste, equipment, contingency planning, employee safety, and more. HLAC standards provide a definitive criterion for processing reusable textiles for use in healthcare facilities. What does an HLAC certification mean for my medical facility? An accredited medical laundry is one of the most important elements in any healthcare facility’s infection control plan. When you work with an HLAC medical facility, you know that your healthcare laundry is providing you with clean, safe and high-quality linens that will not be a danger to your staff or your patients. Every step of the laundering process, from handling to transportation to laundering to finishing, is designed with federal and state guidelines and best practices in mind. This certification is entirely voluntary, so laundries that have paid the hefty fees for this certification are laundries that go the extra mile to prove to their clients that they have the resources to provide hygienic textiles to medical facilities. While there are plenty of healthcare laundries that supply safe medical linens without an HLAC certification, a healthcare laundry certification is a good way to determine whether a company can provide medical textiles at the standards you require. 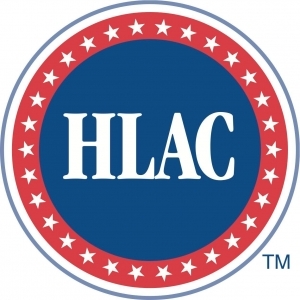 How can I find an HLAC-accredited laundry? While not all MEDtegrity facilities have this certification, MEDtegrity is the nation’s largest HLAC-accredited network. If you’re looking for a medical laundry that has this certification, get in touch with our healthcare linen experts today! We can help you find a qualified company in your area that can meet your medical linen and uniform needs, whether they’re big or small. © 2019 Medtegrity. All rights Reserved.